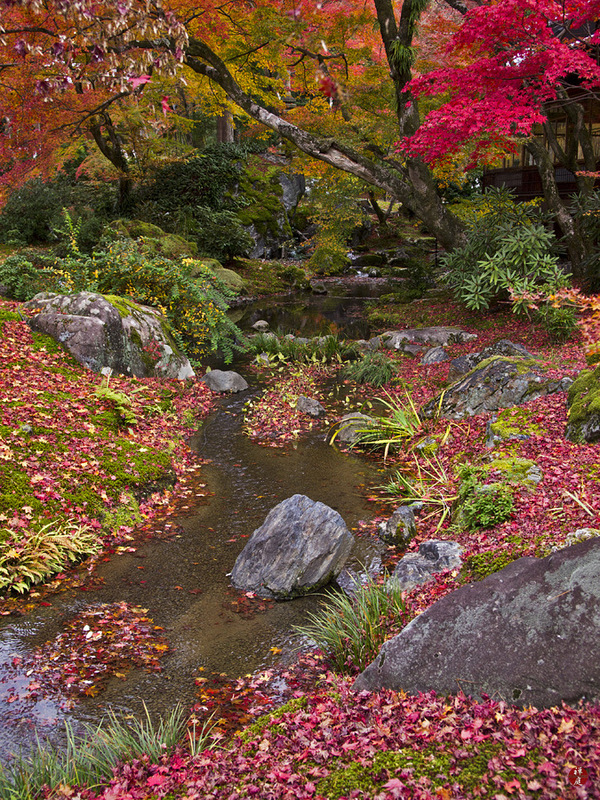 This garden is called Shishiku-no-niwa, which means "the garden where a lion roars." 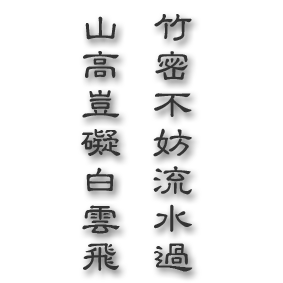 I have read your comment with great pleasure. 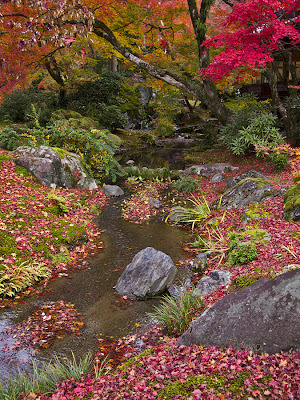 This garden is very famous in Kyoto for its splendid combination of autumnal leaves, a stream and rocks. I am very glad that you like this picture.